Traveling is fun. The last thing you need though, is to have your fun interrupted or stolen by jet lag’s grip. None of these tips will promise that you will feel completely rested and (like you’re not traveling) but they will help you to feel more refreshed and ready to enjoy your adventure and relaxation! Before you fly: No matter when you are departing, it’s important to get good sleep (8-10 hours) the last 2-3 days before you fly. This will help you to accumulate rest for the day you’ll lose it. Keep hydrated. Keep a water bottle nearby and sip often. If you’re afraid of having too many trips to the bathroom, add a little sea/mineral salt to the water to absorb it better. Seriously, try it! Eat well. Avoid too much sugar or junk food. This drains the body of energy and causes you to peak and crash. You need maintainable energy. Choose natural snacks for energy like dried and fresh fruit as well as nuts. When going with the flight food, make sure to avoid the desserts they offer as they tend to be more rich and contain a lot of sugar. Breathe Deep. Most people breathe through the chest, when it’s important to breathe through your diaphragm. Not sure where you breathe from? Take a deep breath and see if your chest rises or stays neutral. A rising chest indicates you are not breathing from your diaphragm. The body translates this as a stress response and stress is then furthered. For deep relaxation after a long day on set or even during breaks, take some time to breathe correctly, calmly and deeply for anywhere between 1 and 20 minutes, depending on what you have time for. Try to make time for a longer session once you land, for best sleep and better recovery. Don’t Drink. Air travel is very dehydrating and alcohol only makes it worse. So stick to decaf teas, water and juices during the flight. You’ll also want to avoid alcohol until you’ve had a really good night of sleep. This is because once you’ve had more than 1 alcoholic beverage, your body can’t get the sleep that it needs. Instead of resting and recovering at night, it will spend it’s time healing and processing the toxins. Try to wait until day 2. Wait to Sleep. If you land and are ready to sleep, do your best to wait. The more you wait to sleep until it’s a normal sleeping time for the region you’re in, the easier your body will acclimate. Then do your best to sleep in until at least 6 am before getting up again. Refresh and Detox. If you have access to a sauna the day of travel, please use it. 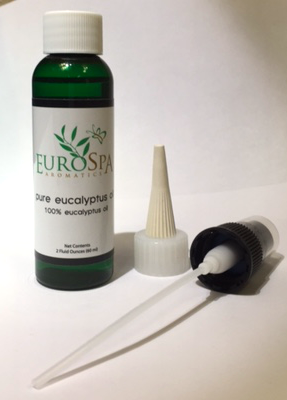 Sweating in high heat will help you release built up radiation from the travel and allow you to feel better faster and feel refreshed. 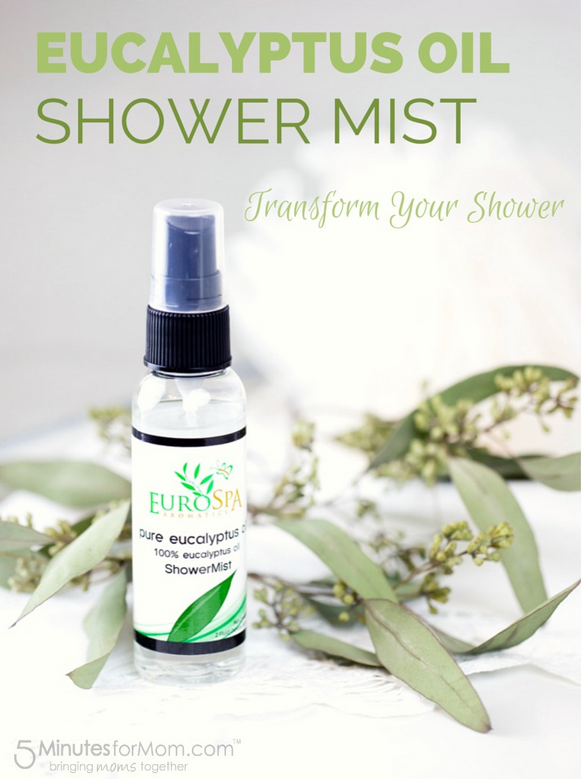 For a fast rejuvenator, use a product such as the Eucamint Shower Mist, in the steam of your shower to help boost circulation, detoxification, ease muscle stiffness and increase your ability to focus with energy. Breathe in deep for the big effect. 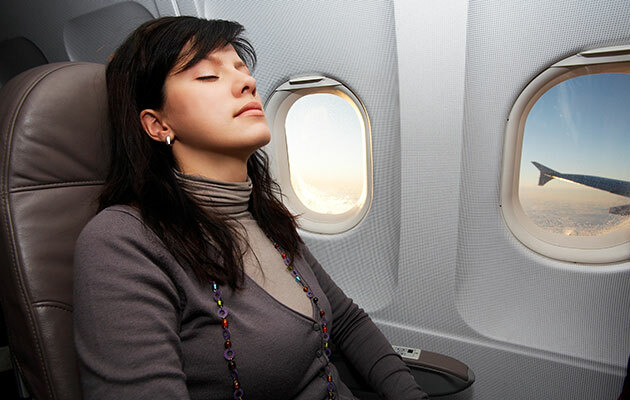 Those are the best ways to defeat jet lag before it even begins. Don’t let a tired head and body be what holds you back from experiencing your adventure. 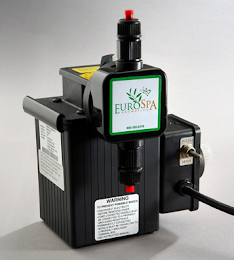 Let Eurospa make it easier and healthier. Happy travels!